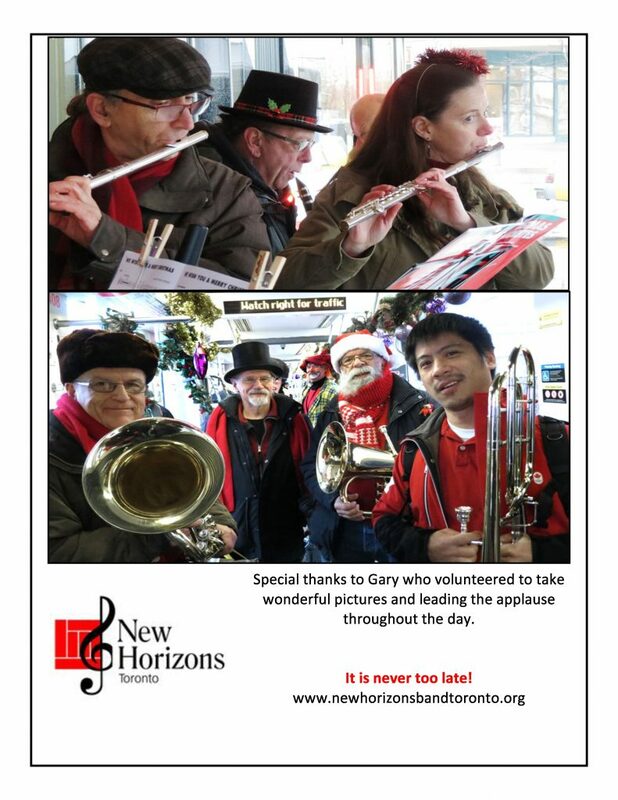 On Saturday November 24th, 2018, members of the New Horizons Band of Toronto kicked off the holiday season playing for Santa’s Streetcar. 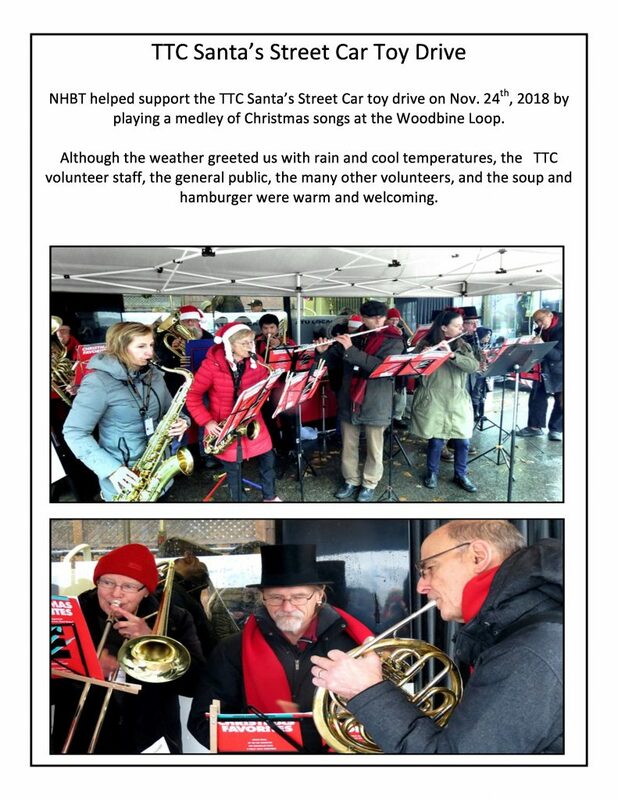 This charity event, organized by TTC drivers in support of Toy Mountain, included a vintage streetcar, carollers, amazing hot chocolate, and of course, music from our band and other performers from around the city! 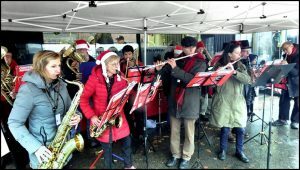 In spite of the rain, it was a wonderful day of holiday music and fun!